Some say that Pathology is a window to God. As doctors, they see the perversion and corruption of the flesh by all means unnatural...by violence...by toxin...by madness...to determine the cause of death. As a result they are the experts in all signs of foul play and the best in the field can uncover all means of killing, even those that are seemingly undetectable. 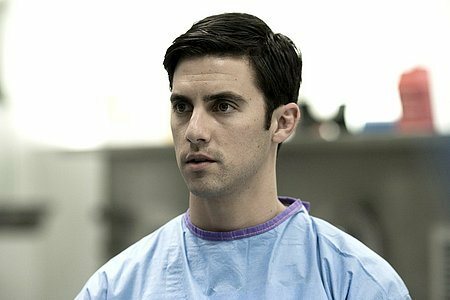 When med school student Ted Gray (Milo Ventimiglia) graduates top of his class he joins one of the nation's most prestigious Pathology programs. With talent and determination Ted is quickly noticed by the program's privileged and elite band of pathology interns who invite him into their crowd. Intrigued by his new friends he begins to uncover secrets he never expected and finds that he has unknowingly become a pawn in their dangerous and secret after-hours game at the morgue of who can commit the perfect undetectable murder. As Ted becomes seduced into their wild extracurricular activities the danger becomes real and he must stay one step ahead of the game before he is the next victim. 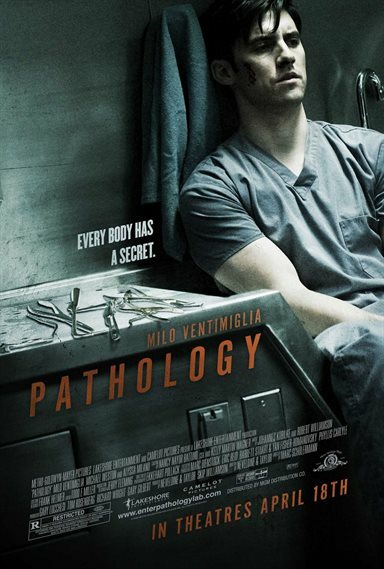 Download Pathology in Digital HD from the iTunes store. Pathology images are © MGM Studios. All Rights Reserved. Pathology images © MGM Studios. All Rights Reserved.